Located within the heart of Prague, this 145,000 m² development extends on 3 stories and encompasses a shopping center (70,000 m²), restaurants (12 throughout the building) and a underground parking lot (accommodates 2,500 spots). This project concentrates activities of production, commerce, business and gallery exhibition space while simultaneously integrating architectural design within the surrounding landscape. Almost 18,000 m² the entirety of the building measures 78,000 m² encompassing two levels of parking/warehouses, an exhibition space on the ground floor and two levels of mixed commercial/exhibition space. The top of the building is dedicated for business uses. Structurally, the building features a central atrium which is enclosed by workshop, exhibition and gallery spaces on four levels. Such spaces overhang the limits of each floor creating an intricate and aesthetically pleasing design. Beyond aesthetic consideration, Cottrell & Michelangeli, assisted by Arup international engineering, were particularly concerned with the energy management of the system, and thus implemented natural ventilation and thermal technology within the central atrium in order to satisfy environmental the regulations determined by the Breeam of High Environmental Quality Certificate. The Design Center project was chosen among the award-winning projects of the International Architecture Awards 2009 of the Chicago Athenaeum Museum and the European Centre of Architecture, Art, Design and Urban Studies. This rehabilitation project reimagined and reconstructed the shopping center's, Grand Var Nord, central plaza. Furthermore, the immediate terrace extremity of the building was replaced by a newly constructed restaurant. 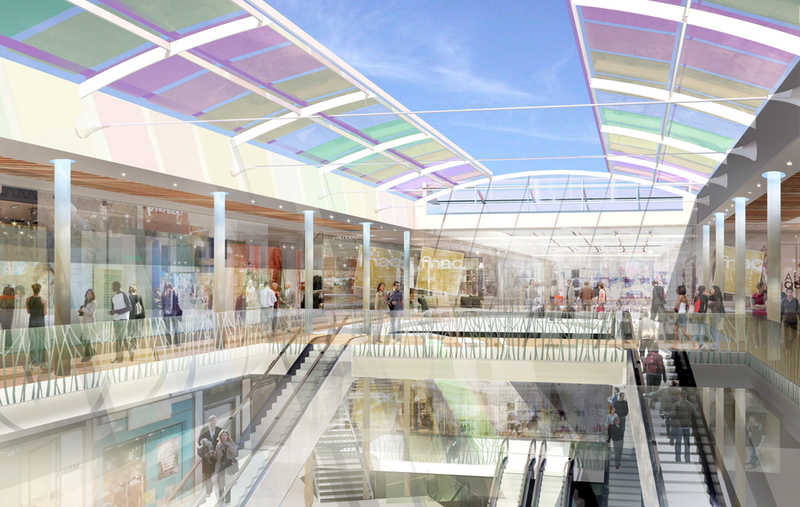 The client, KLÉPIRRE, desired to expand his mall and restructure its access. Resulting this expansion and restoration project involved a 24,000 m² extension of the commercial shopping surface, the creation of a superimposed parking lot of 23,199 m², the restructuring of all existing parking lots and the creation of a roundabout at the eastern exit of the shopping center adjoining the road R.N. 3 à l’Ouest. Particular attention was given to the landscaping surrounding the site, concurrently pedestrian access to the shopping center is decorated with planters and fountains. 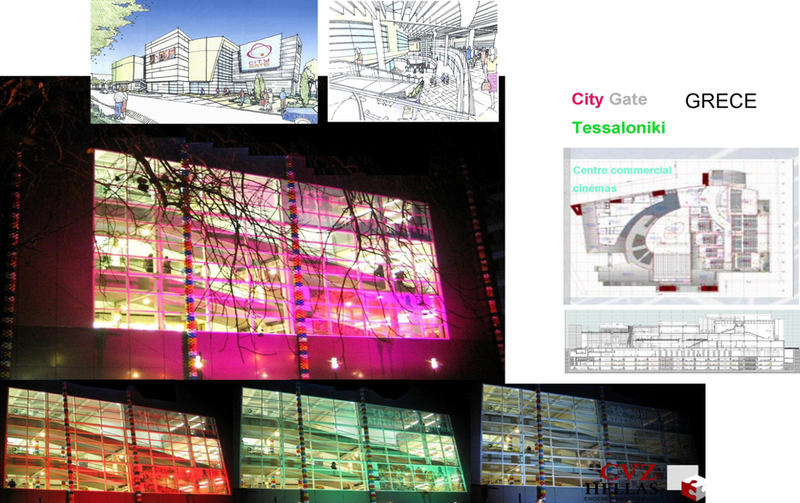 The project consisted of the renovation of the shopping mall’s facade and its interior decoration. In order to create a more pleasing environment, a skylight was implemented within the roof above three levels of commercial space, and lounge areas were added to the plazas. Additionally, terraces were built to compliment the already existing restaurants. A commercial shopping center of 42,796 m² composed of 5 open-air centers was constructed as an extension of the Boissenart shopping center. 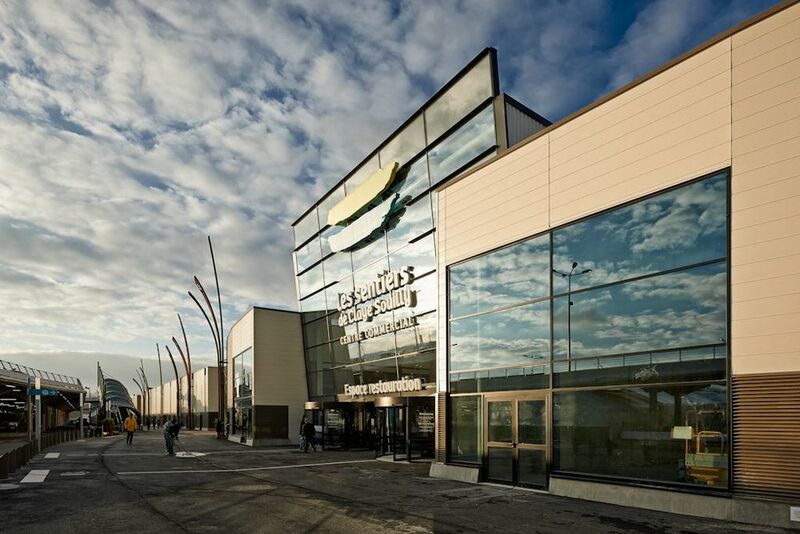 The design of this supermall was adapted to the heavily wooded landscaped environment. The project involved the renovation of the building’s facades, entrances and interior decoration. Most notably, a vertical column for the parking lot and an awning at the entrance, resembling the style of Provincial Pergolas, was constructed. The awning was created of timber and transparent polycarbonate, and it’s design features was incorporated within the mall through modular ceiling details. This urban shopping center is located within the heart of the historic center of Noumea. This multi-story building offers commercial, office and parking space distributed throughout three floors. The first and second floor offers 13,000 m² of commercial space with a connecting bridge between the two activity zones above the Rue de l’Alma. Additionally, two stories of parking offering 540 spots was constructed. Finally, occupying the most space, office space occupies in total 5500 m² of the building and will be distributed among the three stories. A commercial shopping center situated on the rehabilitation site of Tartifume-Bègles. 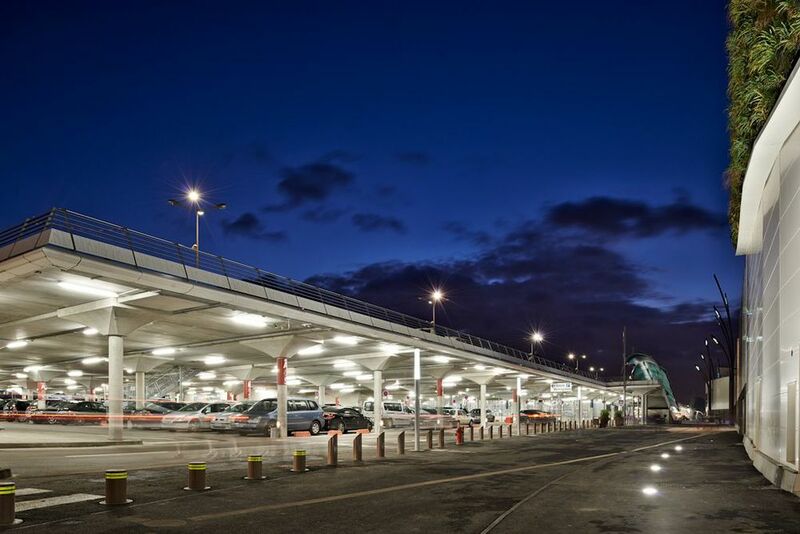 Construction consisted of 120 shops, five open areas and a parking lot accommodating 3,800 spaces. The construction of a commercial shopping center of a total area of 45,000 m² inclusive of three stories for commercial activity, one story with 16 reception-style rooms. Construction of a shopping center within the industrial zone of Terca Lieu dit Cogneau, and an adjacent parking lot accommodating 520 spots. The existing soil of the site was replaced with new grass and shrubs. Construction of a 50,000 m² shopping center built in Valencia, Spain. The project consisted of the restoration and construction of a mixed dwelling property (commercial and residential) within the TOURS Quartier des 2 Lions. 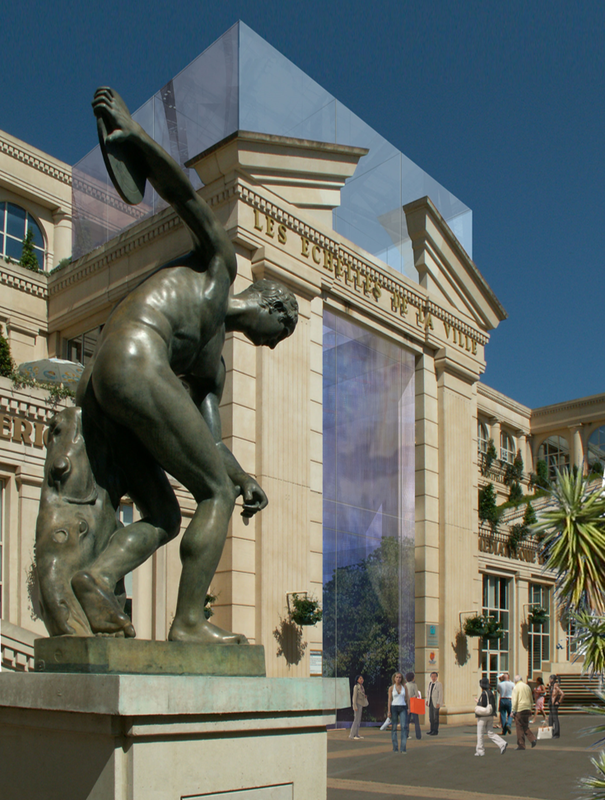 Extension and renovation of the commercial shopping center within the town of Montpellier. 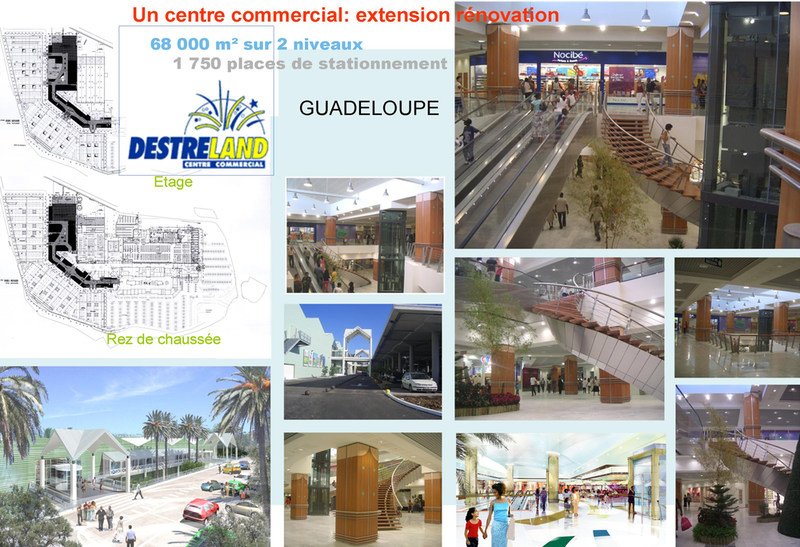 Extension and renovation of the commercial center Destreland in Guadeloupe. The site is 68,000 m² large and extends on two stories. A parking lot was also created and accommodates 1,750 spots. Located within the heart of Thessaloniki, this mixed construction provided space for commercial activity, residential space and an underground parking lot.